After 18 months of hard work, TransportAPI, ustwo and London Underground have successfully closed out the Accelerate project at the final review with InnovateUK and the Rail Safety and Standards Board. Accelerate was funded under the ‘Enhancing customer experience in rail travel’ programme and aimed to gather data from travelling smartphone users to support a new dialogue between the user and transport operator, to improve customer journeys. Our aim was to be the ‘friendly big brother’ rather than the ‘data thief’ by rebalancing the relationship between traveller and operator. 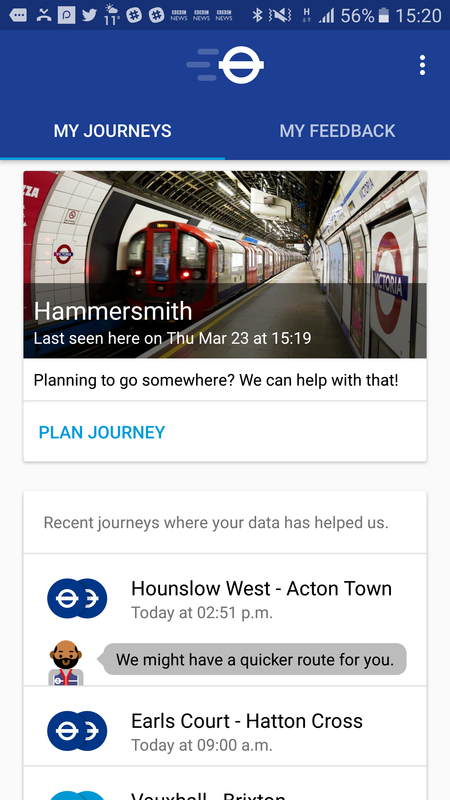 TransportAPI have developed the Journey Tracker API which receives wifi base-station signal data gathered by a passenger’s smartphones and matches this to known infrastructure, in order to track the passenger’s journey through the tube, and report back this information. 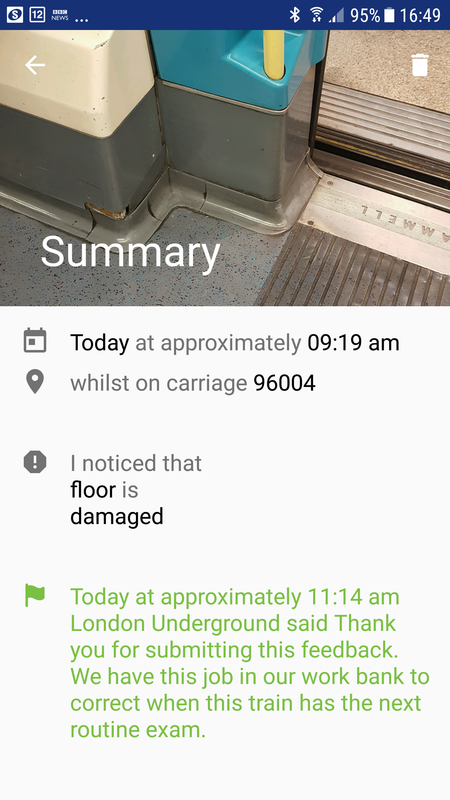 This allowed other data elements, such as user’s feedback comments, to be attached, not just with location, but with meaningful infrastructure identification (stations/platforms/tube carriages). It also enables powerful aggregated insights when looking back at journeys over time. Data storage elements of this were built upon “First Location Bank”. This data is also visible to the user and they have ultimate editorial control over the use of the personalised data. First Location Bank is a part-owned subsidiary of TransportAPI’s parent company Placr Ltd, and has been responsible for the secure, private data management infrastructure for the Accelerate project. FLB developed a scaleable database solution for location data, allowing secure journey data retrieval via an API. An android SDK allows secure “depositing” of location data into First Location Bank including ‘issue reports’ on problems noticed by the traveller. FLB services are available as a secure service to integrate into apps. The Accelerate project carried out a two week trial of the service with >200 employees of TfL. 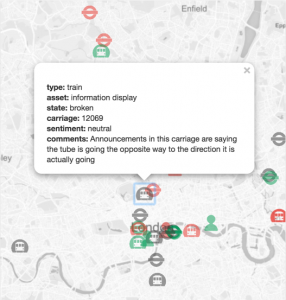 This showed how the location and sensor data from the passive feedback on >500 unique journeys during the trial has given the London Underground a powerful dataset for use in analysis and simulation tools for maintenance and customer experience. 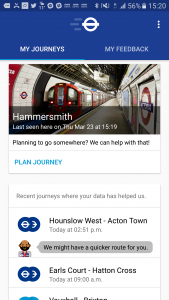 Interestingly, a significant proportion of the users are continuing to use the app after the trial and the relationship between London Underground and the traveller is continuing to develop. The partners in the project are now beginning to exploit the technology, which has been migrated to a commercial deployment. We would be interested to hear from anyone who would like to explore the ‘friendly big brother’ customer relationships enabled by this new service.